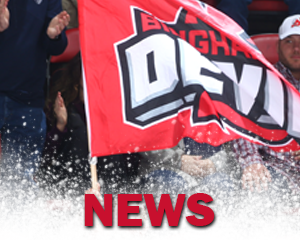 BINGHAMTON – The Binghamton Devils surrendered a third period lead in a 4-3 overtime loss to the Laval Rocket in front of a sellout crowd of 4,893 at Floyd L. Maines Veterans Memorial Arena on Saturday night. 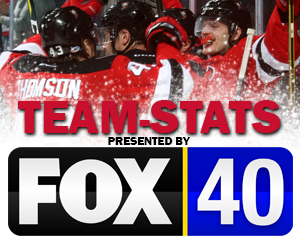 Blake Pietila scored his team-leading 20th of the year to give the Devils a 1-0 lead after one period. After a turnover, John Quenneville fed Pietila in the right wing circle and he blasted a one timer by the left leg pad of goaltender Michael McNiven. The goal came with 2:29 left in the first with assists from Quenneville and Joey Anderson. Binghamton took the one-goal lead into the intermission along with an 8-6 shot advantage. In the second period, Laval tied the game on a good bounce. 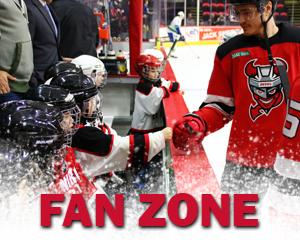 Cam Johnson made the original save on a Daniel Audette shot, however, Michael Pezzetta slid into the puck and it went over the goal line to tie the game at 4:34 of the second. After the officials called off a Binghamton goal due to a penalty, Laval took advantage of the ensuing power play to take a 2-1 lead. Xavier Ouellet fired a shot through the legs of Johnson at 14:04 of the second. The goal was Ouellet’s seventh of the year from Josh Brook and Nikita Jevpalovs. The Devils put home two goals in the final 30 seconds of the second period to take a 3-2 lead into the second intermission. 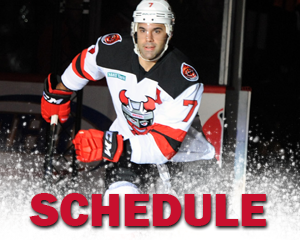 John Quenneville fired in a power-play goal, his 18th of the year, to tie the game at two with 28 seconds left. Assists were credited to Colton White and Pietila and the Devisl trailed by one. Just seconds later, Jeremy Groleau lifted a back hand by McNiven on the right side to give the Devils a 3-2 lead with just 11 seconds left in the period. 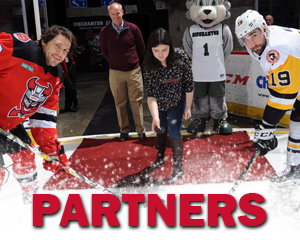 The goal was Groleau’s first professional goal with Eric Tangradi and Michael McLeod picking up assists. Laval forced overtime with just 50 seconds remaining as Jevpalovs picked off a pass and beat Johnson from the right circle for his 12th of the year, unassisted. In overtime, Jevpalovs slid the puck by Johnson on a breakaway for a 4-3 victory. 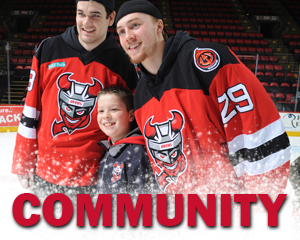 Binghamton Devils full season memberships are now available for the 2019-20 season! 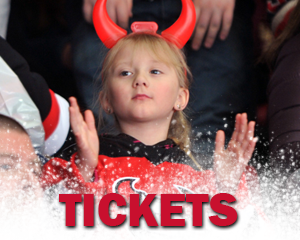 Get great benefits such as FREE New Jersey Devils NHL tickets, exclusive access to Devils players, a brand new referral program, gift cards, and much more! 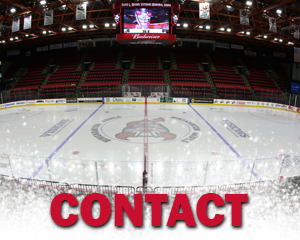 For information on becoming a member, text “MEMBER” to 607-722-7367. 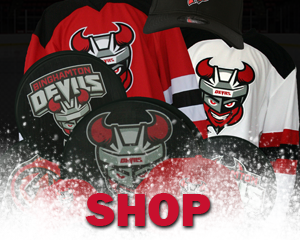 Download the FREE Binghamton Devils mobile app for Apple and Android. Get live score updates and breaking news notifications right to your phone!